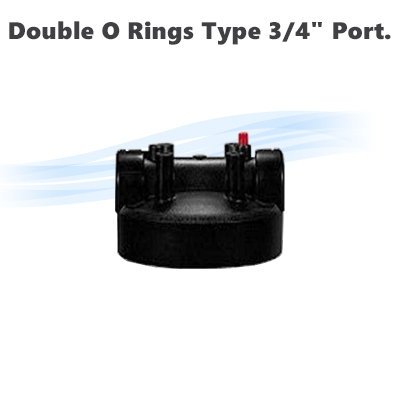 Replacement head for 10" & 20" Big Blue housing with Double O Rings type, 3/4" port. 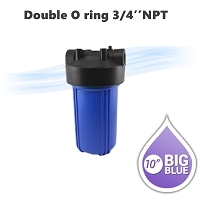 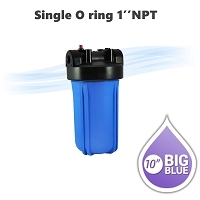 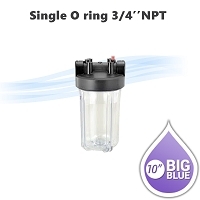 Home > Parts > Filter Housings > 10" x 4.5" Big Blue > Replacement head for 10" & 20" Big Blue housing with Double O Rings type, 3/4" port. 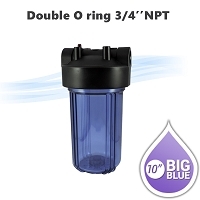 BB housing replacement head / Cap for Max Water Double O rings Big Blue Systems. 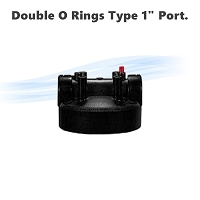 3/4" NPT Female port size. This head has a pressure gauge button and copper finsh 1/4" NPTF pressure gauge hole.